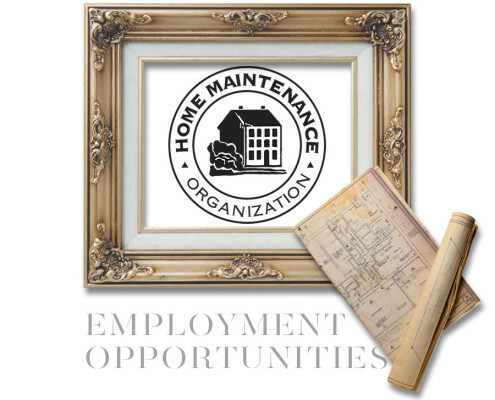 Home Maintenance Organization offers exciting career opportunities in maintenance, project management and accounting. Our corporate success is evident in the loyalty of our current employees, many of whom have been with us for 10+ years of our 15 years to date. HMO hires highly experienced, customer service-oriented employees and trains them in company policies and procedures. As part of our comprehensive employment package, we offer health insurance coverage, paid vacation time and sick days. If you think you’d be a good fit at HMO, download the PDF application from the link below and please fill it out and return it to us via fax, postal mail or email at careers@clickhmo.com. Please be sure to note the location and positions for which you are applying. Once we receive your application, a member of our management team will get back to you shortly.